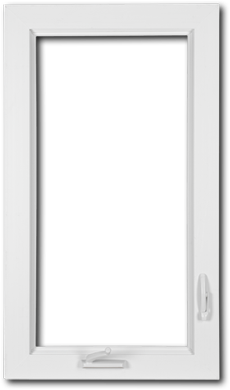 Casement windows are hinged on the left or right side of the window, and open by swinging out from your home. They feature a smooth cranking system for easy opening and closing. They are highly energy efficient, and when opened, allow for a lot of fresh air. Our vinyl casement windows are manufactured to very high standards to offer the highest quality and exceptional energy efficiency. With our range of styles, colors, and other options, they fit well in any home providing great curb appeal. The can also be used as part component of bow and bay windows.